In addition to practicing law, eight of our attorneys are also New Jersey mediators. We serve as neutrals in a wide variety of employment and business law disputes, as well as in zoning and land use matters. Mediation is a way to attempt to resolve a legal dispute without the risk and uncertainty of a trial. Rather than the all or nothing approach of litigation in which a judge or jury decides the fate of your case, a neutral mediator works to help the parties agree to an amicable resolution of their dispute. In other words, mediation is intended to help facilitate a mutually agreed-upon resolution of your case rather than having someone else make a ruling or decision for you. Mediation often provides an opportunity to find creative solutions to a dispute that might not be available from a judge or jury. It also places you in control of the outcome of your case, rather than taking the risk that a judge, jury or arbitrator might not agree with your position or rule in your favor. In other words, it puts the power into your hands by helping you work out a fair resolution of your case. For a variety of reasons, employment law cases tend to be particularly good candidates for mediation. Since workplace disputes can be very complicated, both sides are likely to spend a lot of time, money and energy trying to prove their legal claims and defenses. These cases also can be very risky for everyone involved since juries are notoriously unpredictable. You never know when a jury will award a large sum of money to the employee who filed the lawsuit, or find in favor of the employer who is being sued. In addition, discrimination, harassment and retaliation cases can be very emotional for both the employees whose employers violated their legal rights, and for employers that are defending their right to make lawful business decisions. Employment law is complex and constantly evolving. 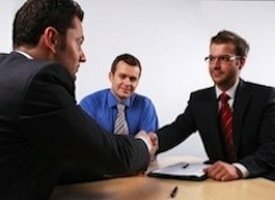 As a result, if you are looking to hire a mediator for a workplace dispute it is highly recommend that you find someone who is an expert in this field of law. Someone who specializes in employment law and stays on top of the latest developments can best understand the strengths and weaknesses of your positions. Additionally, an employment law specialist is best suited to clearly explain your position to your adversary, and to help them understand the risks they are facing if the case cannot be resolved. Our employment lawyers bring their extensive skill and thorough understanding of the field to their mediation practice. We have handled and mediated a wide range of cases, including cases involving discrimination, harassment, retaliation, employment contracts, non-compete agreements, the Family & Medical Leave Act ("FMLA"), reasonable accommodations for disabilities and oppressed minority shareholder claims. While we primarily represent employees in our private practice, we are constantly evaluating cases from the perspective of both the employer and the employee, and have a reputation with lawyers on both sides as being fair and reasonable. We are very conscious of the risks to both sides in litigation stemming from workplace disputes, and the reasons why a reasonable settlement is usually best for everyone involved. Elliot M. Baumgart handles private mediations and is a member of both the American Arbitration Association ("AAA")'s panel of employment law mediators and the National Academy of Distinguished Neutrals ("NADN"). Likewise, Joseph Fine handles mediations in labor law matters. Our mediators also have extensive experience at mediating cases involving other practice areas including business and commercial disputes and zoning and land use matters. By combining our comprehensive substantive knowledge of various areas of law in which our attorneys serve as mediators with years of mediation experience, our alternative dispute resolution team provides parties a cost-effective and prompt alternative to protracted litigation.